Welcome home! 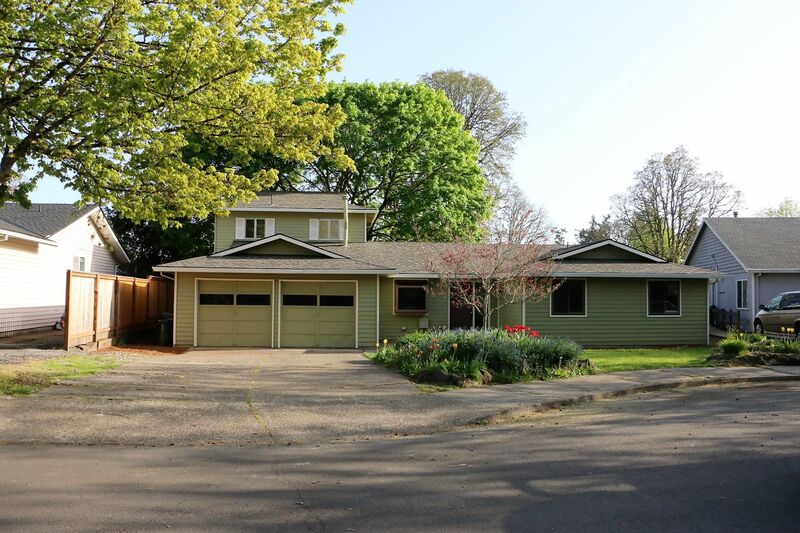 This completely remodeled 2020 SF home has four bedrooms and two bathrooms. Located on a quiet culdesaq just two blocks from Butternut Creek elementary school in a friendly established neighborhood. At first glance you'll love the beautiful curb appeal with lush flowering landscaping, a new roof, two car garage and a newly painted exterior. The home also boasts a completely remodeled interior. Enter the tiled front entry way and step-down into the cozy living room with a wood burning fireplace and dimming recessed lighting. Enjoy a gourmet dinner from the newly remodeled kitchen with all new appliances, sink, granite tile counter tops and recessed lighting. The main living area also includes a large laundry room that can double as an office or craft room with built in cupboards and desk. The big windows in the dining room look out over the large backyard. Bring your friends over for a backyard BBQ on the new deck. The large lot is completely fenced and has a gate that opens into the community area which includes a playground and basketball court. You'll find three large bedrooms on the main floor with the optional small fourth bedroom or office space in the upstairs addition. The bedrooms have all been newly carpeted and painted. The master bedroom has dimming recessed lighting. Both bathrooms have been completely renovated down to the studs. The beautiful main bathroom has new tile floors, a new vanity and sink, new toilet, and a new bathtub with tile surround. The master bathroom has also been completely renovated with a large walk-in tiled shower, sink, toilet and beautifully tiled floors. Last, but not least, enjoy family and friends in the upstairs addition featuring a wet bar and large game/family room area. The home has a ton of natural lighting and is priced to sell. Contact us today for a showing.